Great success for Absolute in Düsseldorf, London and Croatia boat shows. With three new boats presented for the first time at the Düsseldorf German show, large attendance at the booth, and two nominations for European Boat of the Year with the 40 and 43 HT. Meanwhile the 40 HT ranked first at the Croatian Boat of the Year. Further to these credits the Absolute 52 was also nominated for the motor boat of the year award in London. The 2009 International boat show season got off to an excellent start for Canados International. Participating for the first time to the Croatia Boat Show in Split, from 28 March to 5 April, the Italian company returned home with extremely positive results: an award for the Canados Open 90, great interest and promising negotiations for its yachts, success for its revisited exhibition space — which reflects the yard’s new image since Cannes last year — and satisfaction for the partnership agreement recently reached with the new agent for the Croatian and Slovenian markets. Canados International, a symbol of Italian luxury worldwide, took part for the first time to the International Croatia Boat Show with its outstanding vessels and it won one of the most prestigious prizes awarded by the organizers of this important show, gathering the world’s leading yards in the pleasure boating market. During the gala evening the Canados Open 90 was awarded the prize for the best open premiering at the show, due to her sleeping exterior lines, the perfect blend of modernity and timeless style of her elegant interiors, the excellent performance and the technological accessories on board. Designed by architect Luiz De Basto, responsible for the exterior lines, and by Achille Salvagni, who designed the interiors, the Canados Open 90 since her debut enjoyed great international success and defined new rules in the large open yachts sector. 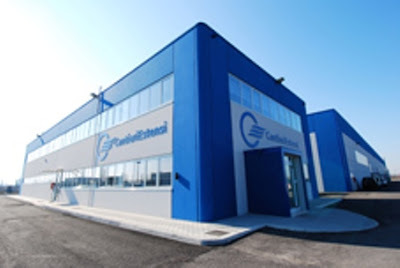 Italian boatyard Cantieri Estensi has opened a new production facility near Ferrara, northern Italy, covering 6,000 squared metres and capable of producing 100 boats a year. In a statement Cantieri Estensi says that the yard's success has led to 'huge growth, in contrast with the current economic situation'. Founded in 1995, Cantieri Estensi has launched over 400 boats and currently produces 50 units annually with a workforce of 65 people. Turnover in 2008 reached €34m. Ferretti S.p.A. announces that the debt restructuring proposal has been accepted by The Royal Bank of Scotland for the senior loan and the financing pool of mezzanine lenders. The agreement is the first step in the implementation of the Plan aimed at strengthening the Ferretti group's financial situation. The Plan also envisages: reducing the long-term debt, from about € 1.1 billion to about € 550 million, against a conversion of credits into exit participation rights; the inflow of new funds through a capital increase of € 85 million, of which € 70 million underwritten by Chairman Norberto Ferretti and by some of the Group management, and the remaining € 15 million by Mediobanca – Banca di Credito Finanziario S.p.A., based on an agreement which is currently under negotiation, of which the main terms have been defined; further medium-term credit facilities granted by The Royal Bank of Scotland to fund working capital requirements totalling € 65 million; extension to medium-term of existing short-term facilities for further € 24 million granted by three major financial institutions, which are already Ferretti group partners. Candover and Permira will no longer be included in the Group's shareholder structure. The Group’s equity will be held by Norberto Ferretti and the Group’s management (38.5%), Mediobanca (8.5%) and senior and mezzanine lenders (for a total of 53% in exit participation rights). As a result of the agreement, Norberto Ferretti, the Group’s management and Mediobanca will hold 100% of the Group’s voting rights. Once this agreement is implemented, the Ferretti group will have the capital strength and financial flexibility needed to face the challenges on the nautical market over the next few years, and continue to assert its position as a market leader. This acknowledgment is mainly linked to the soundness Ferretti has shown over the past few years, which continues to be the basis on which the Group aims to reaffirm its responsibility. In the transaction, the Ferretti group was assisted by Rothschild as Financial Advisor, Chiomenti Studio Legale and Linklaters as Legal Advisors, and CBA Studio Legale e Tributario. The Royal Bank of Scotland was assisted by Ashurst, law firm associated to Ashurst LLP. The other financial institutions were assisted by Clifford Chance and Lazard as financial advisors. The Marina of Cattolica has been the scenario on April 18th and 19th 2009 of the Privilege Days, extraordinary event dedicated to the international Owners community of Ferretti Yachts, Mochi Craft and Ferretti Custom Line. For the seventh edition of Privilege Days, traditional and exclusive rendez-vous for luxury yachts lovers, the shipyarhd chose Cattolica - where last year celebrated its 40th anniversary - historic location with special importance for Ferretti group. The Marina Nuova area has been totally dedicated to Ferretti Yachts, Mochi Craft and Ferretti Custom Line complete range on display available during the whole weekend for onboard visits and exclusive sea tests in order to give the host from all over the world the possibility to experience the made in Italy Excellence. Privilege Days involved also two of the most celebrated brands of the international luxury industry such as Bulgari and Mercedes that will show some news in exclusive for Ferretti group hosts. The event culminated in the evening of Saturady 18th with a surprising firework display by "Scarpato" - with a tradition of over 200 years in fireworks. Chairman and CEO of Ferretti S.p.A. Norberto Ferretti did the honours as hosts - friends, VIPs, and shipowners - allowing all their guests to feel part of an exclusive scenario. Grand Banks Yachts marked the end of an era today as Robert W. "Bob" Livingston officially retired from his role as the company's chief executive officer. He will continue to serve as chairman of the board for Grand Banks, which has traded on the Singapore Stock Exchange since 1987. Mr. Livingston's retirement comes after 35 years as the company's CEO. He originally joined the company in 1972, when the storied boat builder was still known as American Marine Ltd. The board or directors has selected Grand Banks president Robert W. "Rob" Livingston II to assume the additional duties of chief executive officer effective April 1, 2009. Mr. Livingston leaves the top post of Grand Banks during one of the most tumultuous periods the industry has ever faced. Such challenging circumstances, however, are not a new or novel experience for the long-time leader. During his long tenure, Bob Livingston guided the growth of Grand Banks' trawler-style yachts into a global icon of quality and reliability. In 1993 he oversaw the launch of the company's Eastbay Series, which pioneered the modern interpretation of the lobster boat as a swift and sophisticated Down East cruiser. And he managed a continued expansion of the Grand Banks range with the launch of its highly acclaimed Aleutian Series of luxury bluewater yachts in 2001. Gruppo InRizzardi and Abu Dhabi based yacht builder Emocean Marine have announced that they have agreed extensive collaboration in the fast growing Middle East market. Emirates builder Emocean Marine will become InRizzardi’s exclusive dealer in the area. Specialists at Emocean Marine facilities will also offer maintenance and customer services to new InRizzardi yacht owners. Also under this agreement Emocean Marine will build individualized models based on InRizzardi’s designs such as InCRedible 55 to meet with the need of sophisticated new owners. The partnership was announced at a press conference during Abu Dhabi’s inaugural Yacht Show, March 12-14, 2009. Following its successful entrance to the Middle East, Numarine, the Istanbul based performance motor yacht builder, has participated to the first Bahrain Boat Show held from 21st to 25th of April 2009 in Manama. It was the first time that a Numarine yacht was on display in the Kingdom of Bahrain, and it has been a great addition to the Bahrain Boat Show. As per tradition Performance Marine takes part at the 4th edition of the Trofeo barche d’epoca da corsa città di Porlezza, which will take place on Sunday 31st of may 2009 on the board of the Lake in Porlezza (Lake of Lugano). Numerous participants from all Europe will exhibit their racers in the morning and in the afternoon, the exhibition will be concluded with the prizes to the participants. The prestigious partnership between Pershing, brand of Ferretti S.p.A., world leader in designing, building and marketing luxury motoryachts, and Parmigiani Fleurier, top Swiss watch manufacturer, was developed in 2008 based on a similar business culture. A life driven by passion and the ideal of excellence has led the founders of the two companies, Tilli Antonelli and Michel Parmigiani, to build outstanding industrial enterprises in the nautical and watch-making industries. A partnership inspired by the top values of excellence has been possible due to the main values which characterise the two companies, both leaders in their respective sectors: a driving force, innovative impulse, and an ability to be ahead of their time, as well as choosing top quality materials, and a continuous quest for elegance and style. In 2008, the agreement drawn up between the two companies gave rise to the first range of underwater sports watches: the limited edition “one-one-five”, inspired by Pershing 115, the shipyard’s most prestigious model, and unnumbered chronographs, “zero- zero- five”. This line, consisting in a vast choice of models and mechanisms, met the requirements of the most demanding members of the public. In 2009, following the overwhelming success of the first collection, Pershing has confirmed the importance of the partnership signed with Parmigiani Fleurier by developing and producing two new lines Zero-Zero-Two and Tourbillon 30 second Ajouré. Both these new chronographs feature unique technology, innovation, prestige and personality. On Saturday 4th April the Worlds Best Boat Builders could be seen in Split in the traditional Boat Parade of the 11th Croatia Boat Show. A total of 28 of the most prestigious models at the show parade through the Split harbor as several thousands of onlookers gather on the main promenade to see the spectacle. A ceremony dinner was prepared for 300 guests on a pontoon in the city harbor from where they had a front sea view of the parade which ended up with a spectacular fireworks display. 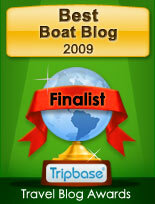 All the boats that took part qualified for the Croatia Boat Show Trophy Awards. The Croatia Boat Show Trophy is not only an acknowledgement to the designers and builders, but is also a commendation to those who took part in creating there boats. The Princess V62 was awarded the Croatia Boat Show Trophy for best boat for the category from 60 to 70 feet, with Princess confirming again leadership in its class. Lazy Me, Cantieri di Pisa new 135 Akhir is a finalist at the WSA 2009. Cantieri di Pisa is proud to announce that Lazy Me, first in the new Akhir 135' breed, is finalist at the prestigious award organized by Boat International, the World Superyacht Awards.Lazy Me competes as Best semi-displacement or planing motor yacht in the 40m+ range. Riva’s charm has no limits. The newborn of the renowned Italian brand, the 92’ Duchessa, was awarded as best yacht over 86 feet by Asia Pacific Boating and China Boating. 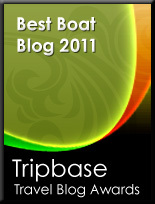 The awarding ceremony was held on April 17th 2009 during the gala dinner of the Shanghai International boat show, the most important in China. Mauro Micheli’s pencil, the work of his team at Officina Italiana Design and Riva’s Technical Office have once again managed to sketch a winning yacht.Curved, racy lines harmoniously design the profile of this yacht which encloses all the elegance and inimitable Riva style in her 28 metres, as always in a solution featuring a unique, original design that granted her victory. A brand new feature on a Riva model, the flybridge is surmounted by a fibreglass hard top, whose sharp line inclined towards bow gives continuity to the yacht’s general profile, making her more aerodynamic and elegant. Moreover, the special advanced shape of the hard top makes it possible to use the layout of the flybridge better, providing shade from the sun’s rays at the pilot station and at a small living-area, formed of two sofas and a teak table able to seat up to eight. The opportunity to choose from a wide range of fabrics specially studied by Riva’s Style Office and add available items to the furnishings, make the new 92’ Duchessa an out and out semi-custom megayacht, able to respond to the requirements of the most demanding owners. More than 100 luxury boat owners and their friends turned their backs on world economic news yesterday to set off on a 10-day boating adventure of more than 400 sea miles. A flotilla of 23 Rivieras valued at over to $22 million cruised out of Mooloolaba this morning on a voyage that will take many of them from Queensland’s Gold Coast to the Whitsunday Islands. The boats, ranging from 38 to 56 feet and including two Sport Yachts along with 21 Flybridge models, left on a 6am tide this morning on the second leg of a voyage to Lady Musgrave Island off the central Queensland coast. While many of the boats return to their Gold Coast homes, 10 of the boats will continue on to the Whitsunday Islands – a total of 600 nautical miles north. Derek and Leone Harris are taking their new Riviera 4400 Sport Yacht Priority on the trip to the Whitsundays. According to Graham Stevenson aboard his Riviera 51 Off The Hook, the second day which took the boats to Kingfisher Bay on the west of Fraser Island was ideal. Mr Stevenson said the first day ended with a wonderful dinner at the Fish On Parkyn restaurant in Mooloolaba. The Experience event has been organised by Riviera Dealer R Marine Coomera as part of the boat builder’s ongoing program of involving owners in events that provide boating and safety education as well as fun and excitement. Keith said Riviera and R Marine Dealers around Australasia are holding similar events this year. R Marine New Zealand recently completed a major fishing tournament that attracted 17 boats with 85 people participating. At the same time, R Marine Perth took another 17 boats and 70 people on their annual Port Geographe Bay Experience over five days. The Dealer has already planned two more cruises, to Rottnest Island and Mindarie, later in the year. R Marine Adelaide celebrated Easter with a five-day cruise involving 28 boats and 106 people to Kangaroo Island Experience. Seventeen boats went on to Port Lincoln the following weekend to participate in the annual Tuna Shootout. Keith Hanson is travelling on the Whitsunday Experience with 80-year-old Ian Reynolds who late last year completed a circumnavigation of Australia in his Riviera 56 Enclosed Flybridge Investigator IV. Mr Reynolds will continue from the Whitsundays to Port Douglas on this trip. Keith said the fleet planned to spend three days at Lady Musgrave Island and its protected atoll more than 20 miles out to sea. Sessa Marine has inaugurated their American office in Fort Lauderdale. Major renovations to the design of Christian Grande (Sessa's internal designer of their production line) has transformed the anonymous office into an oasis of pure Italian Style, both elegant and detailed. Their American headquarters follow a look already integrated with their other showrooms in Europe. The objective: To offer a warm welcome to every client and to promote the idea of a coordinated brand with a personalized style as with the interior design of a luxurious Sessa yacht. Right on Dania Beach, a short distance from Fort Lauderdale's airport and only twenty minutes from lively Miami Beach, the office looks out on to the splendid Harbor Town private dock where various Sessa boats are ready to be tested out on the water. The aim for these headquarters in Florida is to service and manage the entire North, Central and South American as well as Caribbean markets. Directing this subsidiary is Giuseppe Meneghetti, who has had tremendous commercial sales experience and has specialized in the export market. Sessa, due in part to their high quality and uniquely styled yachts, wants to become the American reference point for "Made in Italy" yachts between 30 and 70 feet. An ambitious aim even with the current economic crisis, represents the ability of this Italian shipyard to persevere with their product development and to keep an optimistic view to the future. The next events will be the October 2009 presentation at the Fort Lauderdale Boat show of the new "Yacht C 43", while at Miami 2010 the C 68 flagship will be presented along with the first of the new Flybridge collection. The Sunseeker Manhattan 70 has been awarded best motor yacht at the Asia Boating Awards in Shanghai. The prestigious gala, held at the Royal Meridien Hotel, celebrates the world's greatest boatbuilders and is a chance to highlight the leisure marine industry in Asia - a region that's seeing an increase in exciting new cruising grounds. The Manhattan 70 is an exceptional example of the flybridge range, effortlessly blending luxury with practicality. With a broad beam, graceful profile and extended cruising capabilities, the yacht sets the standard for high-level entertainment - putting the emphasis on fun and excitement. With en suite accommodation for eight guests and two crew, the Manhattan 70 can reach 34 knots and has a range up to 300 nautical miles. Giovanni Costantino, the former CEO of a well-known multinational and passionate skipper, is the new majority shareholder as well as chairman and CEO of the company also owned by Venice Spa, private equity fund of the Palladio Finanziaria Investment Group. The new strategic plans are focused on renewing and strengthening the glorious Tecnomar trade mark, established in 1988 in Viareggio and which has asserted itself as one of the main Italian shipyards manufacturing fully customized open engine and fly maxi yachts. Exclusive 20 to 50 meter models where state of the art technology and exclusive design are blended to perfection. From fabrics to furnishings, from internal and external finishes partitioned spaces: each yacht is designed around the customer and according to their tastes and needs. In the near future, Tecnomar aims to expand its Massa shipyard by approx. 20,000 sq.m, to consolidate its position on the Italian and international markets and to increase its production capacity from 10 to 15 units per year. Organization, skill, quality, competitiveness and the typical craftsmanship are the keys to making the Tecnomar jewels unique and exclusive in this new organizational structure. After presenting its new 75 HT flagship, Italian Cayman yachts continue to expand its range, with two new projects. Both of these two new Cayman Yachts are part of the HT range designed by Carlo Trezzi which takes a lot from the new 75 HT flagship launched in 2008, with similar looks outside. Pictured above is the 55 HT smaller of the two projects, both of which scheduled for launching later on this year. As for the new Cayman HT models, the new 55 follows the concept for an open fly boat, meaning to have features for both worlds in an enclosed hard top Sport Yacht, but still offering aft deck spaces and an upper saloon as a flybridge boat would have. The accommodation plan in fact shows all this solutions in the upper deck with galley and entertainment places all situated up top, and the lower deck reserved for a 3 cabins 2 heads layout with a full beam master cabin. Having an LOA of over 18 metres and a beam just short to five metres, the Cayman 55 HT should reach top speeds in the 35/34 knots region with a 30 knots cruising thanks to modest power coming from twin MAN 900hp engines. The other project from Cayman Yachts is the new 65 HT, and will be the second model in size dimension for the Italian builder. Also designed by Carlo Trezzi, with the ever input from Cayman Yachts boss Luigi Prosperi the 65 HT wants to put the experience of the 75 HT in a slightly smaller package. So basically as the 55 and 75 HT it follows the concept of a hardtop Sport Yachts with living spaces on the main deck as a flybridge boat would be. Measuring an overall length of 21 metres with a beam of over six metres it will offer an accommodation plan of 3 guest cabins all with private heads. There is also the option for a crew berth located to fore with private head. The new Cayman wants also to offer an easy up and down lift choice for the tender with a high low bathing platform as standard. Cayman 65 HT can be powered by twin 1360hp or the bigger optional 1550hp MAN engines. With the bigger choice Cayman Yachts is estimating speeds up to 37 knots. Sogica presented the 47 Openbridge second model in its range during the Naples boat show the past March, following the instant recognition it received with the 55 Openbridge in 2006. While similar on the looks department and in concept to its first model, Sogica new smaller Openbridge has a major important difference that is regarding its propulsion and engines with this new model choosing Volvo IPS pod drives. The new fifteen metre Sogica, continues the Openbridge concept with a very Mediterranean cockpit, but a fully enclosed hard top upper saloon plan. Down below is reserved for the accommodation and is available in two versions. Full beam owners cabin with private en-suite, VIP cabin forward, guest head, galley and saloon. The other possible layout is to have a bunk third cabin replacing the saloon. Performance levels for the 47 Openbridge with twin Volvo IPS600 at 435hp each while not super fast as the bigger 55 are also very respectful achieving a 35 knots top speed and 29 knots of cruise. Mano presents its second project for a new hardtop boat the 42,50. 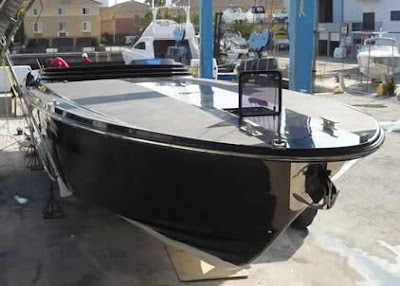 This new Sport Cruiser will be the second in size biggest boat from this Naples Italian builder in its long 29 models line up which starts at 17 feet with the 170 and goes up to the 48 feet M 48 flagship presented here as a project and still awaiting its official presentation and launch. Compared to the M 48, the 42,50 project is a more modern design affair and like its bigger sister it will be the second to have the always much more requested all weather sunroof opening integrated hard top. Outside the 42,50 offers a Mediterranean style exterior cockpit, meaning a sun lounger aft, L-shaped settee and helm station. Inside Mano want to give versatility letting the future owner choosing between two plans: a two stateroom en suite four berths set up, or a more family orientated three cabin six berth layout. Power and propulsion have not been announced. Cantieri di Pisa the legendary motor yacht builder presents its latest new model from its renovated Akhir range of yachts taken care by renowned architect Carlo Galeazzi. The Pisa 135 Akhir was the first project showing the new direction of this builder since the Camuzzi Group also owners of Baglietto take over in 2004, and was also the first to be launched followed later on by the 108 model in the fall of 2008. As is custom from Cantieri di Pisa bigger hundred feet plus models, the new 135 Akhir has two and half decks. Hull number one presents an accommodation layout with five double cabins for the owner and his guests all situated in the lower deck. Crew space is for eight members in four cabins located in the forward part of the lower deck, with a crew lobby situated just above on the main deck. Performance is for a maximum speed of 29 knots with twin 3648hp MTU engines. Range is a 2740 nautical miles at 12 knots. Victory for Fazza 3 in the opening round of the UIM/WPPA Class 1 World Powerboat Championship was sealed this afternoon by Arif Al Zafeen and Nadir Bin Hendi. Second place went to home favourites Sheikh Hassan Bin Jabor Al-Thani and Steve Curtis, with Class 1 debutant Mohammad Al Mehairi and Jean-Marc Sanchez claiming third place in a sun-kissed Qatar Marine Festival Grand Prix. The reunited pairing of Al Zafeen and Bin Hendi powered through to a comfortable victory in the end, but they did not have it all their own way. A fantastic start by Qatar 95 saw the Edox Pole Position winner's storm away with the early lead, but engine troubles forced them to retire on lap nine while leading the race. This cleared the way for Fazza 3 to take the first win of the season. With the experience of two world champions in the raceboat, they never looked in doubt of getting the season of to the perfect start. Sheikh Hassan and Steve Curtis, in Qatar 96, grabbed second place in the team’s home grand prix. Having been happy to just finish on the podium in the run up to the race, the second place will be welcomed by the team although there were mixed reactions as it came at the expense of their team-mates, Qatar 95. The final podium place went to newcomer Al Mehairi and Sanchez. The new pairing were overjoyed with their first race together and the instant success they have achieved. Al Mehairi, had set his sights on a podium finish prior to the race. The early leaders Abdullah Al-Sulaiti and Matteo Nicolini had got off to a perfect start and pulled away from the chasing pack only to see all their hard work from the weekend come to a miserable end as an engine failure brought their challenge of claiming a win to a sudden halt. Aurantium, with Giovanni Carpitella and Christian Rivolta racing for the first time together in Class 1, turned their qualifying promise into an excellent performance in the race. They were delighted with their fourth place which sets them up nicely for their home grand prix in Alicante, where the rougher conditions will suit them better. Giorgioffshore also had a good start to the season finishing in fifth. The new pairing of Nicola Giorgi and Riccardo Calugi showed good speed and reliability as they look to build their partnership. Foresti & Suardi - Roscioli Hotels' Giampaolo Montavoci and Francesco Pansini came through in sixth place, despite gearing problems hampering their efforts at the start and end of the race. There was frustration for European Champion Jorn Tandberg and Christian Zaborowski in Welmax 90, the quietly confident Norwegians snapped a prop shaft on lap three and a bitterly disappointing weekend for Maritimo Australia concluded when engine trouble saw Maritimo 11 retire on lap five. To round off the success of the Spider, Cantieri di Sarnico presents the new Perla version characterised by a provocative livery and exotic furnishings. The model is complete with an unprecedented white body but as with true pearls, the value is not merely measured by how bright they are, but by the shape, the lustre and the many translucent layers. In order to highlight the sporting nature of the boat the sides are finished with a dark brown line realised with a very special painting. The same dark and brilliant tones are used for the upholstery on deck and illustrate the exclusivity of the boat and the modernity of its styling. The light and the colours give the boat its lines as much as the fiberglass structure does, adding great value to the shape designed by Nuvolari and Lenard. In addition, the colour of the accessories, furniture and bridge are painted in order to give a chromatic contrast. The cockpit deck of the Perla is realized with large and impressive teak strips separated with white lines. The layout of the lower deck is the same as the original version but uses carefully selected bamboo in order to distinguish it from the standard version. Other stylistic changes include polished ebony wood in the kitchen, leather floor and white polished overhead lockers. The hull is conceived by Victory Design who make the best of their racing experience to make the Spider Perla agile and easy to trim without any need for corrections by the helmsman. With twin Volvo Penta D6 Turbodiesel Common Rail 435 hp engines fitted to IPS pods, the max speed is 39 knots. Blue Game is an interesting Italian company founded in 2002, with an innovative way of proposing big Sport Fishers, with a centre console feel outside and a yacht comfort inside. After launching its first 47 model Blue Game shows its next aims by proposing two bigger important projects for the future of which one already in important development phase. Pictured above is the Blue Game 77 and as the 47 it is penciled by the hands of renowned hull designer Louis T. Codega a guarantee name in Sport fishing boats but also the man behind the Destriero winner of the Ales Blue Ribbon trophy for the fastest transatlantic crossing in the nineties. The other project from Blue Game is the 57, and is already in development production phase extending its current line to two models and by 10 feet from its 47 model. The 57 will maintain hull lines by designer Louis T. Codega, and as the 47 will feature a center console influenced exterior with a yacht interior. As all Blue Game great customization is available from the hard top design, hull colour, carbon fibre details up to the interior layout plan. For the interior Blue Game is offering two layouts: Dinette layout with two cabins four berths plus crew, and a Cruise Layout having three cabins six berths with aft crew cabin. In the exterior there is three available styles: Hard Top Version, Tender Version, and Marlin Version with tower. Power is from twin Man 1100hp each, with the Italian builder estimating 40 knots top speed, cruise at 36 knots, and a range up to 465 nautical miles thanks also to high volume 4000 litres fuel tank. Rated to a CE A category the new 57 Blue Game shows also attention to a well constructed hull for offshore use with the peace of mind of a solid glassed bottom, and vacuum bagged cored sides, decks and bulkhead. Each new launch from status symbol Sport Yacht builder Magnum Marine is always an improvement and a further development of the previous. Magnum just launched its latest 60 Furia, number 009. This hull number nine of the Pininfarina designed 60 Furia, is outfitted with the Caterpillar C32, which gives her runs in the high 50 knots range. Having her underwater deep vee shape derived from the classic of all, that is the 53 Maltese it is easy to say that the Furia tackles rough sea water as its joy and pleasure. This newly launched 60 Furia is also special due to her incredible metallic black paint job and beautiful Italian interiors. As the new 70 Lazzarini Pickering, the new 60 will be seen cruising the Mediterranean this summer. Lucky those who can admire such a unique Sport Yacht in all senses. 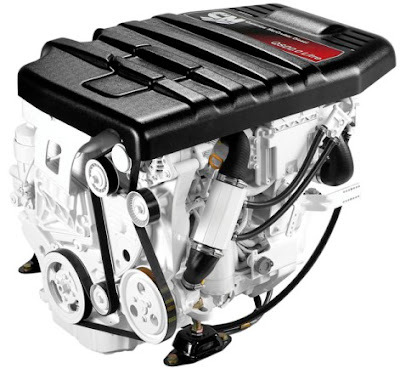 Cummins MerCruiser Diesel has extended its innovative Quantum diesel technology on the QSD2.0 platform with the release of the QSD2.0-170hp for inboard applications. This propulsion system is well suited for small, single-engine boats. The new package is EPA, RCD and IMO certified, and the QSD2.0-170hp engine, first introduced last spring, will still be offered with the Bravo One, Two and Three sterndrives. As announced last fall, the QSD2.0-170 is also available with the Alpha sterndrive with a 1.62:1 gear ratio, perfect for small runabouts. The QSD2.0 is offered in ratings from 115 to 170hp. The entire 2.0 family boasts a new turbocharger for increased power and an advanced ECM with SmartCraft compatibility to monitor various engine parameters. The QSD2.0 line also features advanced components such as the integrated heat exchanger and exhaust manifold, which help reduce overall package size and weight. Impressive acceleration and precise throttle response are the result of a proven high-pressure common-rail fuel system that includes seawater aftercooling. Since the Astondoa Group take over a year ago it was interesting to see the new models from Faeton showing the big Spanish boat builder influence. This new Faeton 360 Fly, is the first result of this take over. Presented during the fall of 2008 in the Barcelona boat show, this new Faeton 360 Fly features a modern up to date styling along with space concepts offering a family orientated motor cruiser with a 2 cabin lower deck and a private bathroom with a separate shower room. For example the concept of the flybridge space use is very interesting with a helm located aft, and the forward part reserved for a 6 person settee which transforms to 2 or 3 person sun worshipper bed. Interiors are finished in double tint with light teak, contrasting wenge wood, and beige leather upholstery all this in a modern functional design. Engine is 4 option choice from twin Yanmar or Volvo of 260hp and going to the biggest D4-300hp Volvo. Propulsion is for traditional line shafts. Blu Martin 1390 Sea Top is PowerYachtBlog April month boat review. The 1390 Sea Top was launched in 2005 and is the second model from this young builder founded in 2001, but with its owner Franco Mauri coming from an over twenty year experience in boat building in Italy and particularly in the Como area. 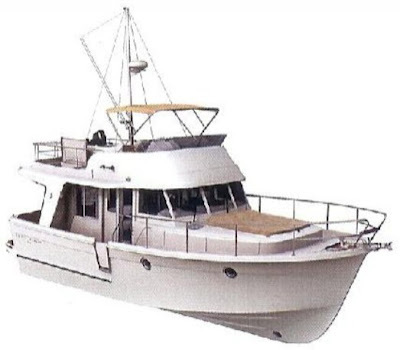 The 1390 Sea Top is a natural evolution of the first model of Blu Martin the 1350 Sun Top, with its main differences being easily visible thanks to the integrated enclosed hard top, and the extended bathing platform aft which adds length by forty centimetres aft. Later on the 1390 Sea Top was also added with a new interior option of a 2 cabin 2 head layout along the 3 cabin 2 head, with this new version offering a full beam owners cabin. Welcoming you in its aft cockpit the 1390 Sea Top has what is a normal standard layout for a Mediterranean Sport Cruiser, sun lounger aft with a tender garage underneath with space for 2.40 metre rib, c-shaped settee, complete exterior wet bar with grill washbasin, and a central positioned helm station which gives optimum all round visibility. Below the option is for two distinctive layout choice. The later introduced 2 cabin version and the more popular by choice 3 cabin plan. The 3 cabin version offers a c-shaped settee to port side, a galley opposite to starboard, forward owner stateroom with private en suite shower head, two identical double cabins with twin berths which can transform to an inserted double VIP cabin, and a second guest shower head to port side having also its use as a day head. The 2 cabin version differs from the more popular 3 cabin layout by offering a full beam owners cabin in replacement of the two double cabins mid ship, and now offering an island queen sized berth positioned to the beam, offering also a relaxing settee to starboard. This two cabin version also gains a more spacious second head now the bigger on board, and a saloon settee which is a bit more spacious. With a vee shaped hull monohedron with a 19.30 degrees aft, the 1390 Sea Top is just shy of the twenty plus deep dead rise which translated to more simple terms means high cruising speed wave attacking potential. An other interesting feature for the Sea Top is the various engine and propulsion choices. Engines start from the more economic and smallest option of twin D6-350hp Volvos, and goes to the big Yanmars of 480hp. Propulsion choices is from Volvo sterndrive which will give the better fast speed handling, to the do it everyone docking IPS Volvo pod drives, and goes to the more seaworthy shaft lines. Performance top speeds are 34 knots with the smaller Yanmar 440hp and IPS500 option, 36 knots with Volvo 350hp sterndrive and Yanmar 480hp, and goes to the most performing IPS600 which gives 38 knots of max. Having a 2 version interior and an all propulsion choice give a wide spectrum of competitors to the Blu Martin 1390 Sea Top, but to be honest I expected much more to this. Competition criteria is made for integrated hard top, LOA in 13 metres, and a 2 cabin 2 heads full beam owners cabin or a 3 cabin 2 head. For classic three cabins interior look for the Airon Marine 4300 T-Top, and Windy 44 Chinnook. 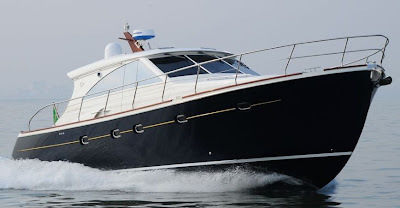 Blu Martin 1390 Sea Top was a very well minded evolution of the 1350 Sun Top, and the well made design improvement of an integrated hard top similar to that found on bigger boats, was sure a turning point for the success of this model. The hard top along with a very comfortable interior, and added with a two interior plan option shows also that Blu Martin is very attentive to the clients request and suggestions. This also is shown by the wide variety of propulsion and engine choices, showing in facts that the North Italian builder tries to minimize the compromises made from choosing a boat, and suiting it to the clients needs in all aspects of the 1390 Sea Top being it the interior, or the technical point like engine and propulsion choice. Picture Copyright Blu Martin. Data Blu Martin. Teams and competitors in the UIM-WPPA Class 1 World Powerboat Championship are poised to renew rivalries in the Qatar Marine Festival Grand Prix on Saturday, 25 April the first race of the season and the eleventh race to be held in the Qatari Capital City of Doha in eight years. Victory want a first Grand Slam, Qatar want a first World title and all their rivals want a piece of the action. Class 1 looks set for a captivating and possibly unpredictable season. Ten boats will line up for the 21-lap, 96.45Nm Qatar Marine Festival Grand Prix; but with the introduction of new rules governing the use of electronics, limited propeller choice, new teams and a handful of untried driver-pairings, the outcome of the season-opener is hard to predict. Dubai’s Victory Team, the defending World, Middle East and Edox Pole Position Champions, will start amongst the favourites for race honours and have rolled out three World Champions as they launch their bid to retain their crowns and hunt down a fourth win in Qatari waters as they aim for that elusive grand slam of all four titles in a season only ever achieved by Spirit of Norway in 2003, and described by Victory’s General Manager, Gianfranco Venturelli, as ‘mission impossible’. 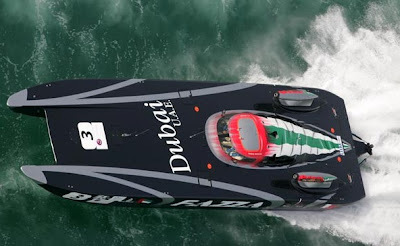 Defending Champion, Nadir Bin Hendi, is joined in last year’s winning boat now named Fazza 3 by the 2007 World and European Champion, Arif Al Zafeen, and will be looking to repeat their 2008 win in Doha, whilst his former partner, Jean-Marc Sanchez, is once again called on by the team’s hierarchy to draw on all his experience and steer another rookie Mohammad Al Mehairi through his first season, running in Victory 1. The Qatar Team pose the greatest threat to Victory’s aspirations and Sheikh Hassan Bin Jabor Al-Thani is in absolutely no doubt that his team can win the World title and can kick-start their season-long campaign with a win on home waters. Sheikh Hassan, still looking for his first win in Doha, again lines up with former World Champion Steve Curtis a five-times winner in Qatar and will more than likely run the repaired and modified Qatar 96 with Skema V12s, whilst team-mates Matteo Nicolini and Abdullah Al-Sulaiti, who still hold the in-house bragging rights after taking the team’s only win in 2008 and fancy their chances of title glory this season, line up in the Sterling V8-powered Qatar 95, with Al-Sulaiti looking for his second win in front of a partisan crowd. The bid to oust the sport’s two titans and upset the form book, is headed by the defending European Champion, Jorn Tandberg, who reforms his winning partnership with fellow Norwegian, Christian Zaborowski, running the Mercury-Class 1, V8-powered scarlet MTI, Welmax. Maritimo Australia is the third team fielding a two-boat line-up and will be hoping to repeat the success that team owner, Bill Barry-Cotter and Peter McGrath enjoyed in Doha, when they took their maiden Class 1 win at the first Grand Prix held in Qatar in 2002. Twenty-one-year-old, Tom Barry-Cotter and Pal Virik Nilsen form the youngest partnership in Class 1, but can boast the most races and cockpit time together of any driver-throttleman combination in the Championship, and will run their new hull, Maritimo 11, with the straight-talking New Zealander, Peter McGrath, joined by Italian, Giorgio Manuzzi, in Maritimo 12, the boat the team debuted in Dubai last season both outfits opting to run Maritimo Performance V8 power-plants. Throughout the fleet, new driver-combinations dominate, adding to the unpredictability of the race outcome; throttleman, Giampaolo Montavoci and Francesco Pansini, back racing in Class 1 after a 13-year absence, team up for the first time in Foresti & Suardi- Roscioli Hotels. Nicola Giorgi, who grabbed his first Class 1 podium in the penultimate race in Dubai last year, will be looking to build on that success and is joined in the Giorgi V12-powered Giorgioffshore by the team’s test-driver Riccardo Calugi, making his Class 1 debut, with the experienced Giovanni Carpitella partnering relative newcomer, Mohammed Abdelkader Ahmed, in Spirit of Spain in which Carpitella raced last year, taking an impressive fourth in the final race of the season. The Qatar Marine Festival Grand Prix weekend kicks off with a two-hour official practice session on Thursday afternoon (23 April), followed by a second practice session on Friday morning ahead of the Edox Pole Position official qualifying session in the afternoon. A final practice session on Saturday morning precedes the 96.45Nm Qatar Marine Festival Grand Prix, run on the notoriously tricky Doha Bay circuit which has seen some spectacular racing and incidents over the years consisting of one 5.15Nm start lap, 18 race laps of 4.5Nm and two compulsory 5.15Nm long laps. The Riviera 51 Enclosed Flybridge gets upgraded throughout in the newly launched Series II model. The new series II gets upgraded all with changes in the aft, stairs which lead to the flybridge, cabins, heads galley and improved finishing throughout. For example both the master and forward guest staterooms queen double beds are larger for greater comfort and all the lockers have a new freshness with cedar timber lining. The bathrooms have also undergone a transformation with the use of Amtico timber veneer flooring, solid surface benchtops with a porcelain basins and satin chrome shower poles. All the joinery in the saloon has a fresh new look and there is even a gloss timber surround to the recessed grabrail in the headliner. Speakers for the Bose entertainment system are now recessed in a pelmet on either side of the saloon. The lounge now has also a double bed hidden away underneath with electric controls. In the galley, you will notice the new induction cooktop and flush benchtops while access to the storage space below has been improved. The most striking and visible feature of the new 51 Series II is sure the awning window and stainless steel door aft of the saloon leading to the cockpit, with this opening up to connect the saloon with the cockpit. Even the stairs to the flybridge have been improved with non-skid treads and even better hand rails. Benetti, in collaboration with the Research and Development Centre of the Azimut-Benetti Group, based in Varazze, founded in order to give scientific support and boost the know how level of the single brands, developed its first hybrid electrical diesel propulsion. The study of the diesel-electrical propulsion, within the group, started ten years ago with the planning and designing of the M/Y FB231 Ambrosia, launched in 2005, and equipped with the azimuth propulsion. These particularly encouraging results drove the Group to extend its research and the consequent applications onto the smaller boats of the range, choosing however to privilege the displacing yacht segment which, due to the technical characteristics, combines well with this type of propulsion. The pioneer this time is the smallest line of the fleet, the Benetti 85, which, compared to Ambrosia, requires an alternative due to its technical characteristics. Indeed in this case the electrical diesel propulsion is not suggested as a sole solution, but it is placed together with the traditional one in a hybrid system. The primary intention is that of equipping the yacht with an additional and alternative propulsion system compared to the main one which increases the comfort on board as regards to the traditional propulsion. The speed range obtainable with the electrical propulsion varies from 5 to 10 knots, based on the electrical power of the diesel generators available on board. The Hybrid electrical diesel system includes the use of the same components of the traditional propulsion to which we have added electrical motors with permanent magnets and relative "inverters" frequency converters, which, connected to a controlling system, govern the shafting with the main diesel motors being disconnected. The numerous advantages that have been obtained are measurable: reduction in noise, less vibrations on board, and an important percentage in the saving of consumption equal to 40%. A positive environmental impact due to the reduction of emissions into the atmosphere. The commitment undertaken about ten years ago today has led to the creation of a product that can be applied to the entire Benetti range with the possibility of integrating other innovations that the Group is developing for the future, such as the replacement of one of the two electrical generators with a fuel cell generator in order to increase comfort further and reduce the environmental impact. It is currently possible to temporarily install batteries in order to obtain the same effect as the Fuel Cell yet obviously with considerably reduced endurance. The new hybrid electrical diesel propulsion system which is applied onto the Benetti 85 does not only enable to offer concrete advantages in the direction of a Green Yacht but paves the way towards continuous and future developments. Sunreef Yachts presents its new virtual world wide web show room, after a successful 2008 year with good results in financial, sales, and market demand. Moving to Poland in 1992 Francis Lapp founded Sunreef Yachts in the year 2000 creating an innovative boat building company focusing on luxurious custom made catamarans. The success for Sunreef is to be seen today after eight years and the delivery of over forty yachts, being sailing or power with a size going from fifty up to 73 feet, with a 114 alloy built currently in building stage, but bigger yachts expected in the near future with a 150 in plan for its Custom Yacht series. 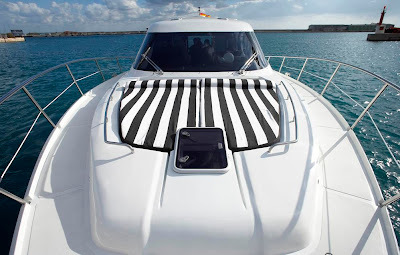 Sunreef offers five distinctive ranges: Catamaran Yachts Single Deck offering 8 models from the 62 Classic up to 130, Catamaran Yachts Double Deck offering 6 models from 82 up to 146, Power Boats offering 3 models from 60 up to 80, Day Charter Catamarans conceived for day charters, and Custom Yachts. The new virtual showroom from Sunreef is a very modern affair available in seven languages: English, French, Polish, Spanish, Italian, Russian and Greek. It welcomes you in seven windows in the front page: Yacht Models, Discover Our Fleet, Latest News, Sunreef Yacht Charter, Yacht Management, Sunreef TV, and Join the Sunreef Club. 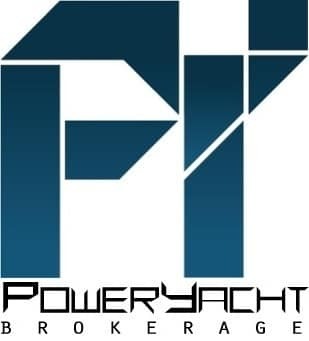 There are further 9 tabs above and below: Home, About Us, News, Yacht Models, Design Department, Yacht Management, Brokerage, Charter, and Contact Us. North Carolina custom boat builder Shearline, after having a taste of big boat building with its 2008 launched 61 Sportfish fully custom flagship, built in cold molding gives more of this to its estimated clientele. In fact the year 2009 will see Shearline commissioning two new Sportfish yachts builds going over the fifty feet barrier. The first of this is the Shearline 52 Sportfish, representing similar Carolina lines to the bigger flagship, but in an eight feet smaller package. 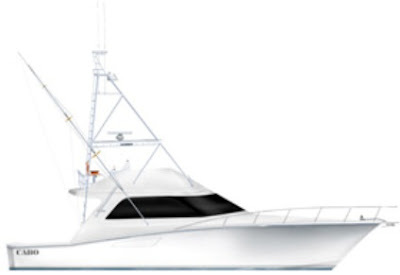 The 57 Sportfish is the second project from Shearline, and is built to custom order as all the fourteen boat range from 18 up to 61 feet from this US East Coast builder. The 57 Sportfish represents another important step for big custom boat building recognition and more future ambitions as started last year with the launching of the 61 feet flagship. As all the Shearline range, the 57 is also built using cold molding construction technique, meaning a lighter and stronger build method, but also a time tiring method only good for passionate and custom builders. I imagine both the new Shealines to be pretty fast but so far not much details are provided. Still these are all custom builds and many changes can be made in design stages to accommodate ones taste, think of it this way the 61, did 45 knots with not so big engines for its category. So accept something along these lines from the new two big Shearlines both to be launched later on this year. Presented for the first time at the recent Naples boat show, is the new Rio 36 Air, hard top version for the Art of the same size presented in Genoa in the fall of 2008. 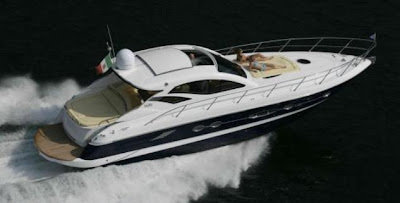 The North Italian builder praises its new 36 feet hard top as the best offer for its size in the European market. As its twin, open sporty 36 Art example, the new Air hard top model follows on the winning design of its sister, offering a much desired full beam owners cabin in only eleven metres. As Rio says both these models share little with the competition apart the size and propulsion, the rest is a surprise to discover. Everything else has no comparison. The look awards the Rio typical visual aspect of a bigger looking sport cruiser then its real size inside and outside. In fact the 36 Air surprises for its sports line, but still offering open livable spaces, an impressive wide cockpit, hydraulic controlled table, chaise lounge, and a dual helm seated helm station with a minimal essential dashboard offering an ample control panel. 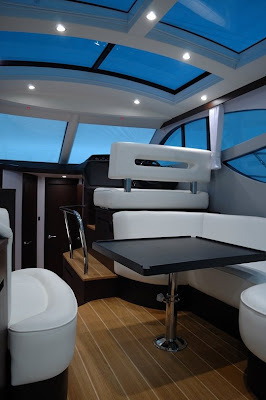 Best of solutions and thinking for the people onboard comes from the electric shifting hard top which extends up to the stern to protect the dining area if necessary, a very intelligent solution in this size. Master Yacht 60 is the second project from this company founded in 1999 and starting to build boats in 2005, launching its first 52 feet model in 2006. This is an interesting second offer from this North Italian builder following the 52 bit of traditional looks outside, with high versatility in its interior planning, as well as the engine choices being among its strongest points. Hard top Sports Yachts are a lot to come by, so Master Yacht 60 wants to offer something different in a crowded and super competitive market with some distinctive features from the competition like two layout choice interior, and wide engine and propulsion choices. The interior for example comes out with a standard 3 cabin lower deck galley layout, but if one navigates with more guests a 4 cabin all en-suite with a galley up optional version is available. Surely but the most interesting feature for the new Master Yacht 60 comes from eight engine and propulsion choices. For those desiring the traditional shaft lines, the Master Yacht 60 comes with a vee drive set up and five engine offer starting from the smaller rated twin Yanmar 720hp up to MAN V12-1360hp. For the pod lovers Master Yacht offers three options, a triple or quadruple Volvo IPS600 choice, with IPS500 offered in a four engine format only. The first Master Yacht 52 was all about offering various choices to the owner, and with the 60 this Italian firm made clever lesson to keep and expand a similar format for its new bigger upcoming Sport Yacht. Galeon improves the 390 HT just as it did on the 530 HT with a Wenge Line new interior style. Wenge is an exotic tropical hard wood from Africa, dark brown almost black with tan lines. The Wenge furniture on the Galeon is veneer meaning a sheet of natural wood adhered to natural density fibreboard. Along the renowned and much famous dark natural wood, the 390 Hard Top has also been improved with new quality elements like stainless steel, huge glass sliding doors and white leather upholstery. To accentuate also the dark tonality of the woods the walls are plastered with a silver fabric lit with LED lights. This new distinctive look is a modern departure to other more classical styles like cherry wood or mahogany interiors, and should distinct the client who prefers the latest style in the interior of his Sport Yacht. 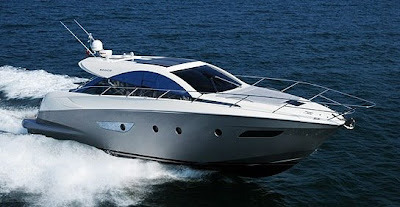 Design, a sporty, stylish, powerful and comfortable Sport Yacht. These are the characteristics Italian Yachts asked to architect Roberto Angel for the project of the 72 Jaguar. Based on the philosophy of a high performance hull, four possible power options are available from the smaller 1500hp up to 1800hp twin MTU engines, and Arneson or Sea Rex surface drives. Roberto Angel transformed the requested philosophy into simple geometric shapes that enhance the aerodynamics of the deckhouse, while at the same time not staying away from the Jaguar open tradition. The Jaguar 72 project maintains a family feeling in a new emphasis on the sporty soul of the Italian Yachts brand. Exterior lines are clean and essential with large elliptical windows favoring plenty of natural light into interior spaces. Lateral side passageways favor continuity fore to aft of the deck, enabling the perception of a uniform outer environment. Forward, is a solution that is more unique than original, a central sunpad and modular seating to accommodate numerous guests. As on the 80 Jaguar, the 72 first presented as a 70 feet project maintains a sober style, with a uniform look seen trough the Italian Yachts range following a great care for quality and finishing of the complete product. 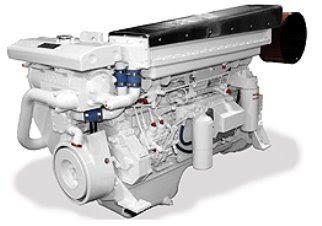 Northern Lights, a globally recognized manufacturer of marine diesel generator sets and Lugger diesel engines, is pleased to introduce their newest propulsion solution the L6125H diesel engine, featuring an electronically-controlled high-pressure common-rail (HPCR) fuel system. The L6125H is based on the time-tested reliability of the heavy-duty Komatsu industrial engineblock, and is custom marinized by the Northern Lights engineering team, whose five decades of experience are well known to mariners across the globe. The L6125H reaches a high output rating of 470 hp at a modest 2300 rpm. Designed to be durable, reliable and efficient, the L6125H boasts an attractive power-to-weight ratio of 4.8 lbs./hp. Fuel economy and fuel system efficiency are maximized by the HPCR fuel delivery system, which maximizes atomization of the fuel delivered into the cylinder, ensuring amore complete combustion. Fairline is preparing for the launch of its all new 65 Squadron later this spring. 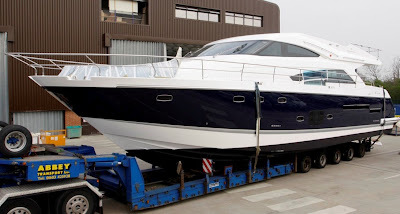 The first Squadron 65 departed the company’s Nene Valley factory in Oundle, Northamptonshire on Monday 6th April 2009 making the 100 mile road journey to Fairline’s testing facility in Ipswich, where she will undergo extensive tests to ensure the highest quality standards throughout. The 65 Squadron is destined for customer delivery in May, following commissioning and intensive sea trials with Fairline as well as the press in the Solent with specialist marine journalists. A second 65 Squadron is already in production and will make her first show debut at the Cannes and Southampton Boat Show, both taking place in September. The 65 foot motor yacht is the latest addition to Fairline's Squadron flybridge marque. Key features of the newest Squadron include four luxuriously appointed cabins and a single-level flat floor that extends from the saloon through to the dinette and galley area, providing an exceptional feeling of spaciousness. The expansive exterior accommodation of the flybridge includes dedicated dining seating and sunbathing areas as well as a comprehensive bar area with refrigerator, icemaker, sink and BBQ griddle. Her anticipated top speed is 34 knots. Emerging from the acclaimed ranks of the Cabo lineup comes the US builder largest model yet, the 52 Flybridge. Designed for fishermen looking to travel farther and stay out longer, its interior space delivers more room and comfort than any other Cabo in the fleet. Built on the same foundation as the popular 52 Express, its superior hull balance allows the 52 Flybridge to challenge rough seas, glide comfortably over large waves, stir up less spray and move through the water with minimal hull resistance. Like all Cabo's before her, the 52 Flybridge primary mission is to meet the needs of serious anglers looking for a boat that is tough enough to match their every challenge. The interior layout of the new flagship will offer three staterooms with two heads. Fitted with twin Cat C32 of 1675hp each, the 52 Flybridge will manage top speeds of 41 knots and a fast cruising of 38 knots. To be launched very soon the new Cabo 52 Flybridge continues to raise the bar for this California Adelante boat builder. Italian builder Estensi presents the waited 480 Goldstar S, latest model for this range of traditional cruisers and yachts with lobster boat looks outside and an Italian way for the comfort inside. The 480 is the latest addition to the more modern looking Goldstar S range, differing from the C for its sleeker stern and super structure, and more modern stainless glass patio door. This new 480 Goldstar S offers unexpected comfort for its size with a three double cabin accommodation, a crew cabin, hidden galley and a split level saloon. Power is from twin not so big 550hp, but Estensi has still not published any performance data which to be honest was very curious to know. Range should also be good with not so much power and not small 2000 litres fuel capacity. Dubai boat builder Integrity after the presentation of the 55 Flybridge in 2008, continues to upgrade by showing details for a 90 Flybridge super yacht model expected to be launched in the fall of this year. The 90 Flybridge is Integrity second model and will also be its flagship at 90 feet. Offering modern stream lined looks outside, with the latest comfort innovations like the forward c-shaped settee, hard top on the flybridge, and full view windows for the owners cabin the 90 Flybridge seems ready to compete with more renowned long standing brands. Lower deck accommodation is a classic layout with four cabins all with private heads. Full beam owners cabin, VIP cabin to fore, and two guest cabins in between. The aft part is dedicated to a crew lobby with 2 cabins, separate head and shower room, l-shaped settee, and direct engine room access. Living area is also a classic layout plan with a c-shaped saloon upon entrance, a dining table for 8, separate galley, helm station and c-shaped settee for guests during passageways. Hull shape is planning, with twin propulsion and direct shafts. Engines and speeds have not been announced, but by the looks and concept I would estimate performance of around 30 knots. 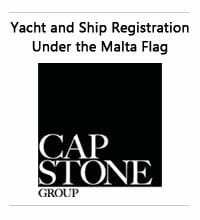 A new website or how we call them here virtual showrooms, for World renowned Super Yacht builder CRN. Founded by Sanzio Nicolini in Ancona Italy in 1963, CRN is the acronym for Costruzioni e Riparazioni Navali and since 1999 is Ferretti Group brand for luxurious Super Yacht builds from 38 metres in fibreglass up to an 85 metres in steel and aluminium currently under construction. CRN first build was the 23 metre Super Conero. The new website is among the best to see for visual appearance and is finished in very nice dark brown colors. It welcomes you with an English and Italian language choice and a very nice video taking you up and down various valleys before arriving to the sea. Its tabs are Company Profile, CRN Fleet, New Projects, Gallery, Media & Events, Downloads, Contacts, Customer Area, Sales Area and Site Map. In so difficult global economic conditions Italian builder Rose Island decides to continue its expansion plans, by presenting the 43 Lobster next project of its Traditional boat range standing in between the long standing 38 and 49 models. Once again Rose Island continues to bet on young designer Marino Alfani, who continues the philosophy which has gave Rose Island so much fortune. Seeing the rendering of this new 43 Lobster project we cannot not notice the classic fashion and timeless elegance which has always been the half part of this builders DNA, with the other being sea keeping, low fuel consumption, long range and performance. 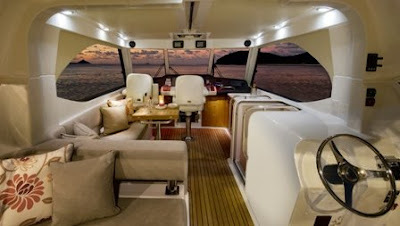 In this new 43 Lobster great importance is being given to spacious areas outside and inside. Outside this is easily visible thanks to the superior extended cockpit aft, wide decks, and spacious sunbed on the forward deck. Down below the more space theme continues thanks to the two owner and VIP cabins, both with private en-suite heads. Worth to note and also unusual for a boat of this type and size is the double owners heads. Impressive is also the data, like the estimated performance top speed of 32 knots, with not so big twin 450hp FPT engines pushing this 13 tons cruiser, but also the 2000 litres fuel tank which shows when Rose Island speaks of range it is talking business. Constructed to CE A category and hand crafted, Rose Island owner Engineer Fabio Rosa is a firm believer of two quality visions in boat building: the visible one which is what you can see and touch and the hidden construction standard which he says is impeccable for his jewels. Debuting last February during the Miami show, is the Ovation 55 Sport Yacht. Ovation is the upmarket luxury bigger boat brand from Silverton Corporation and the new 55 Sport Yacht apart from being the second model in this motor yacht series from Silverton, is also this corporation biggest build too. The new Ovation 55 Sport Yacht differs from most of the competition for offering a triple Volvo IPS set up, its exterior looks, patio closing interior, and for the lounging area up top. This is basically a flybridge boat without the second helm. Inside the 55 Sport Yacht has a standard two stateroom layout plan with full beam mid ship owners cabin and VIP cabin to fore. A three cabin version is also available, with the third double cabin taking the place of the lower deck galley. Engines are a triple pod propulsion Volvo IPS600 435hp. US builder Formula presents its newest day cuddy cabin sport cruiser project, the 290 Sun Sport embodying the heritage of proven performance while embracing evolution of design. With a twenty two degrees deep vee deadrise aft, the new 290 SunSport continues Formula reassuring fast boat solid handling in demanding water conditions. Thanks to a nine feet beam the 290 Sun Sport will offer more then sees the eyes accommodation inside and out. Comfortable is the word here for the cabin below which has a double vee shaped berth, a head, and a small galley. In the outside deck the theme for space continues thanks to a nice c-shaped settee, a wet bar and a relaxing double seat to port of the double seated helm station. Twin stern drive petrol engine options from Mercruiser or Volvo power the 290 Sun Sport. Astilleros de Alicante has introduced new styling improvements for the Doma 5 during the fall of 2008 and presented for the first time at the Barcelona Boat Show. The Doma 5, which waiting for the new 7 is the current flagship of the Alicante boat builder range, gets 6 total improved areas: two concerning the outside, and three for the interior with important redesign elements adding space, and a more convivial area. Builder Alicante tells us that the main difference here versus the previous Doma 5 are the following. Concerning the exterior it gets a new deck with a walk around configuration, and lateral side decks are now wider deeper giving more safety to the persons moving forward. Inside the Spanish builder advices off a a ten per cent increase in space thanks to better spaces distribution, redesign of saloon galley area making all this area more functional, wider access to the cabins in the lower deck, and last an engine room re-design. The Riviera 51 Open Flybridge gets upgraded throughout in the newly launched Series II model. The new series II gets upgraded all with changes in the aft, stairs which lead to the flybridge, cabins, heads galley and improved finishing throughout. For example both the master and forward guest staterooms queen double beds are larger for greater comfort and all the lockers have a new freshness with cedar timber lining. The bathrooms have also undergone a transformation with the use of Amtico timber veneer flooring, solid surface benchtops with a porcelain basins and satin chrome shower poles. All the joinery in the saloon has a fresh new look and there is even a gloss timber surround to the recessed grabrail in the headliner. Speakers for the Bose entertainment system are now recessed in a pelmet on either side of the saloon. The lounge now has also a double bed hidden away underneath with electric controls. In the galley, you will notice the new induction cooktop and flush benchtops while access to the storage space below has been improved. The most striking and visible feature of the new 51 Series II is sure the awning window and stainless steel door aft of the saloon leading to the cockpit, with this opening up to connect the saloon with the cockpit. Even the stairs to the flybridge have been improved with non-skid treads and even better hand rails. Cat C-series, electronically-controlled, high-speed marine engines are recognised for their sustainable performance, combining high power, low emissions and state-of-the-art fuel consumption. At this year’s Miami International Boat Show, Caterpillar presented another high-performance rating for its C32 ACERT model used in pleasure craft applications. 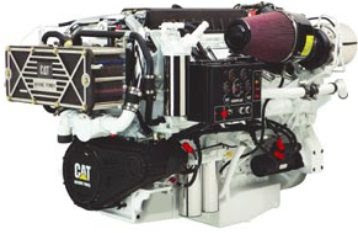 Produced to highest standards the Cat C32 ACERT is a vee-type, 12-cylinder, 4-stroke marine engine with 145 mm bore and 162 mm stroke displacing total 32.1 litres. With its new EPA Tier 2-compliant E-rating, this engine provides 1417 kW - 1925hp at 2,300 rpm. The new C32 ACERT rating with 1925hp is specifically designed for pleasure craft applications, has 15 percent more power than the former C32 version without ACERT technology. Introducing a smaller and more robust engine block, the C32 ACERT engine is designed to be particularly durable, reliable and fuel-efficient. It offers the latest Mechanically actuated Electronically controlled Unit Injection (MEUI) fuel system, Caterpillar’s latest ADEM A4 Electronic Control Unit ECU and responsive twin turbo-charging and after-cooling. In addition, maintenance and robustness have been improved for the C32 ACERT engines. All standard maintenance items are mounted on the service side for easy access. The gear-driven water pump is self-priming. A titanium plate heat exchanger with integrated fuel cooler offers extended durability. ADEM software, which precisely determines fuel delivery, air management and all other engine functions, has been modified for the increased power rating and EPA Tier 2-compliant emission levels. Multiple fuel injection inserts fuel into the combustion chamber in a series of accurately timed “micro bursts”. These features combine to provide lower specific fuel consumption, particularly at part load, and also reduce smoke and emissions while delivering reliable maximum power output. Improved performance from advanced Cat C-series engines not only means more power overall, but also better acceleration, more reserve and rated power available at a wider speed range. Needless to say for an engine with ACERT technology, the C32 ACERT operates virtually smoke free under steady-state operation as well as under acceleration. Beneteau presents the project for its third model and future entry level for its explorer type boat Swift Trawler range with the 34. Announced in Dusseldorf last January and presented also as a scale model during the show, the 34 Swift Trawler continues what we have seen with the previous models from the French builder, with US trawler looks, but also with accommodation layouts revolving an eye around European and Mediterranean usage. Looking very similar in the outside to the 42, the small Swift Trawler offers spaces associated with a bigger boat to its size. Its accommodation plan is a 2 cabin layout, with owner cabin to fore, a bunk double cabin to port side, and a complete shower head to starboard. On the main deck we have the main living area for the small Swift Trawler offering a saloon galley with a settee for 5 persons, c-shaped galley, and the interior all weather helm station to starboard. 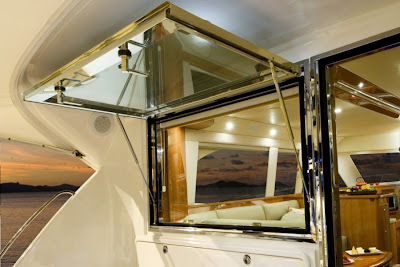 The extended flybridge as seen on the plan is the main surprise for its dimension, offering along the second helm station, and l-shaped settee also a tender stowage area. This is something unusual for a 34 feet cruiser. Engine choices has so far not been announced, but Beneteau did say that the choice is for a single engine with direct in line shaft propulsion, which according to the French builder will give the best economy but also the most stable ride to the 34 Swift Trawler.